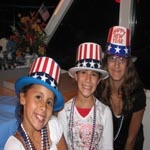 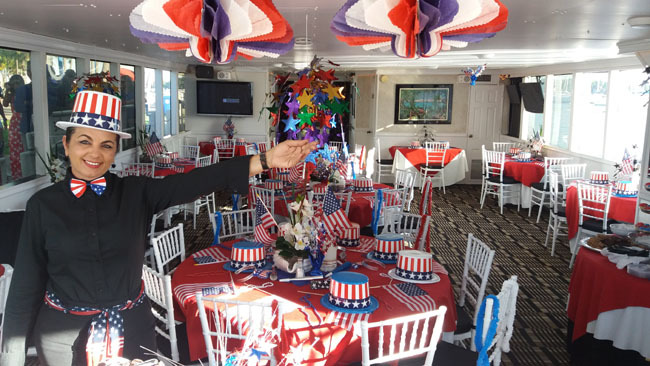 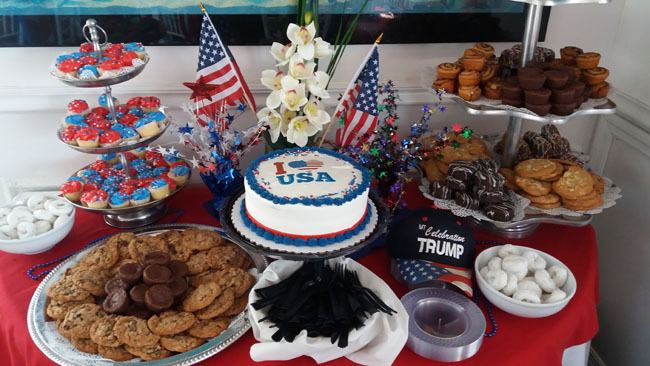 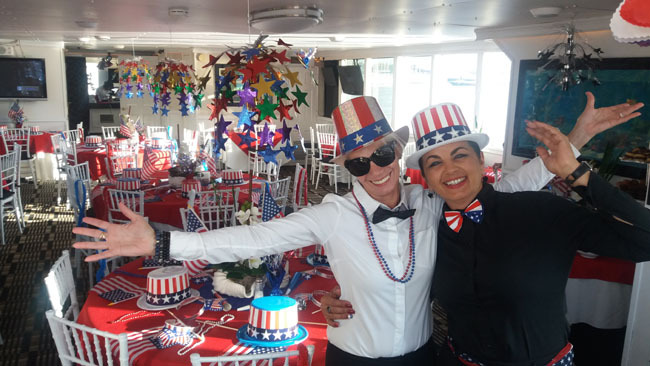 Fully Decorated Yacht in Red,White and Blue w/July Fourth party hats-noise makers and flags. 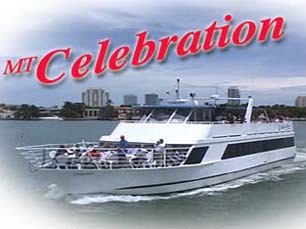 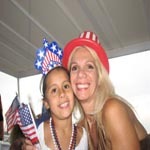 Come Join us on July4th for a Great Fireworks Party Dance Cruise - MT Celebration - Come Cruise with Us . . . . . . . . . . .